Dude... what are you wearing? The Pro Football Writers of America just selected Tim Tebow for their 2012 Good Guy of the Year award. Apart from how hilarious of a name for an award that is, Tebow does seem like a relatively good guy — he handled the media blitz during his coming-out party last year with remarkable savvy, having honed his PR game through years of being worshipped at the University of Florida. Looking back on the previous winners of the award, though, there could be trouble in store for Tebow. 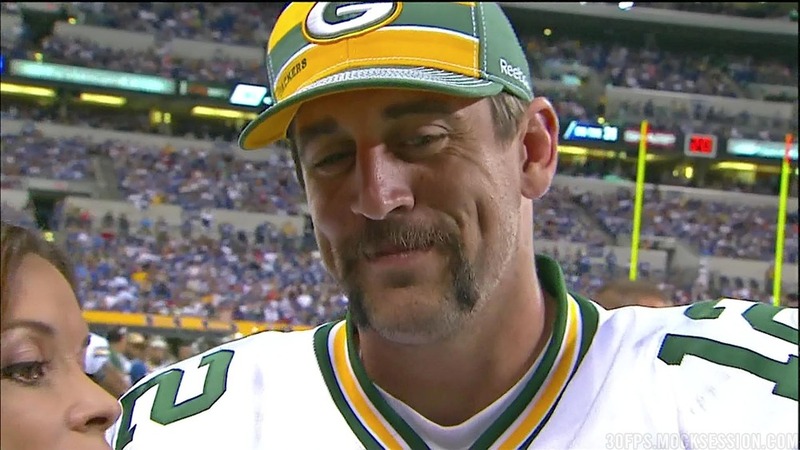 Last year's winner, Aaron Rodgers, is still virtuous enough, apart from that mustache. Ditto with 2010 winner Drew Brees, who has escaped relatively unscathed from the New Orleans Saints bountygate scandal, and 2009 winner Kurt Warner, another virtuous Christian like Tebow. Past that, we run into some problems.